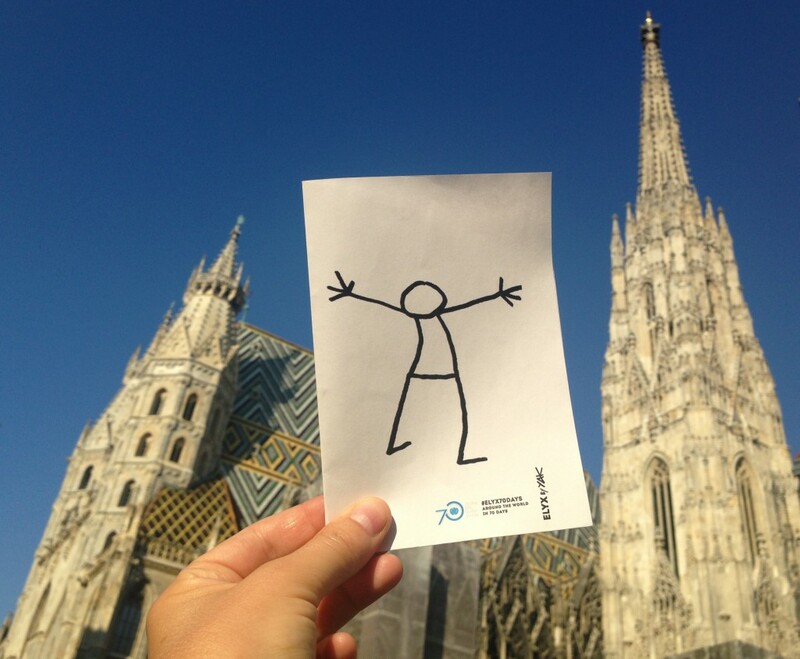 Elyx has arrived in the Austrian capital of Vienna where one of the UN headquarters is located. The UN digital ambassador heads straight towards the Vienna International Centre, commonly known as “UNO City”. 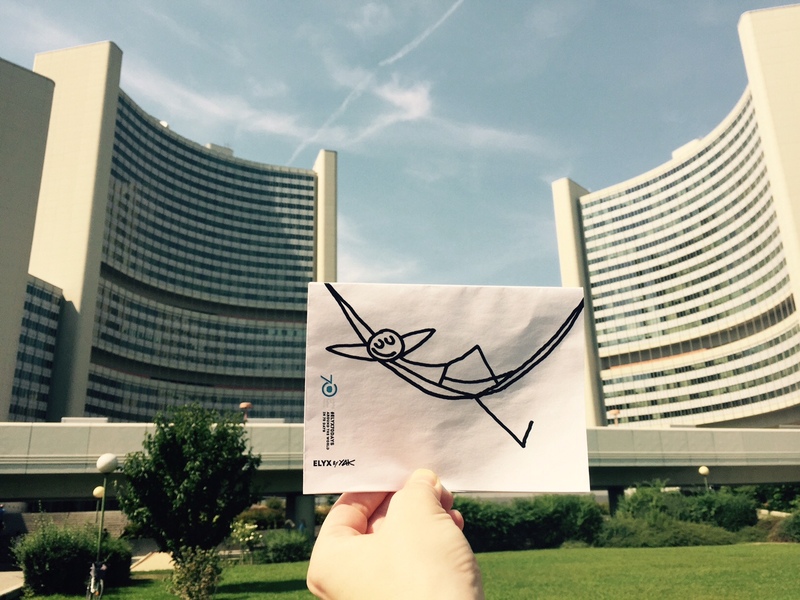 Since Elyx feels a bit cramped after the long trip from Brazil, Elyx practices gymnastics while admiring the beautiful flags in front of the UN buildings in Vienna. Before the digital ambassador feels dizzy from spinning around, colleagues from the United Nations Information Service (UNIS) invite Elyx on a tour through the “UNO City”. Elyx learns that the Vienna International Centre was opened in 1979 and is rented to the United Nations for 99 years at a symbolic annual rate of one Austrian schilling (seven Euro cents). 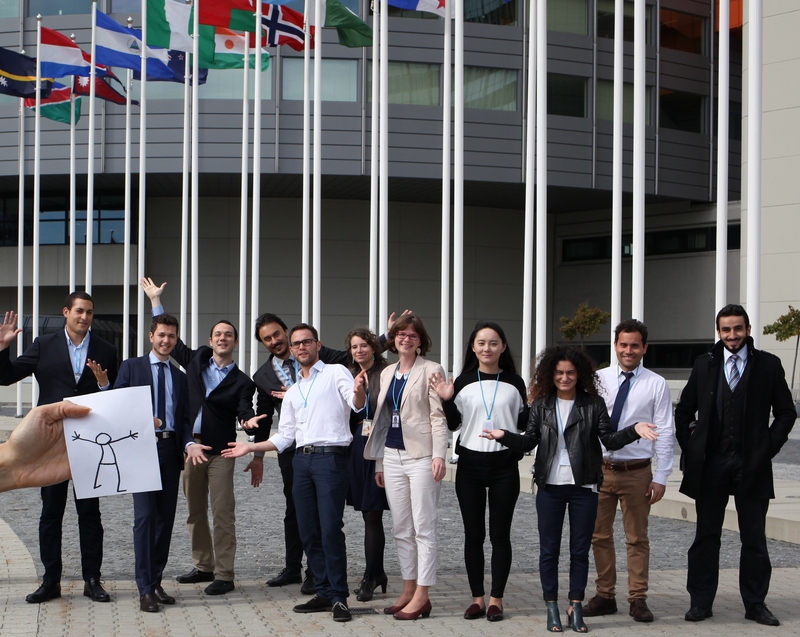 While passing through a courtyard, Elyx receives a warm welcome from young people doing internships at the United Nations Industrial Development Organization (UNIDO). 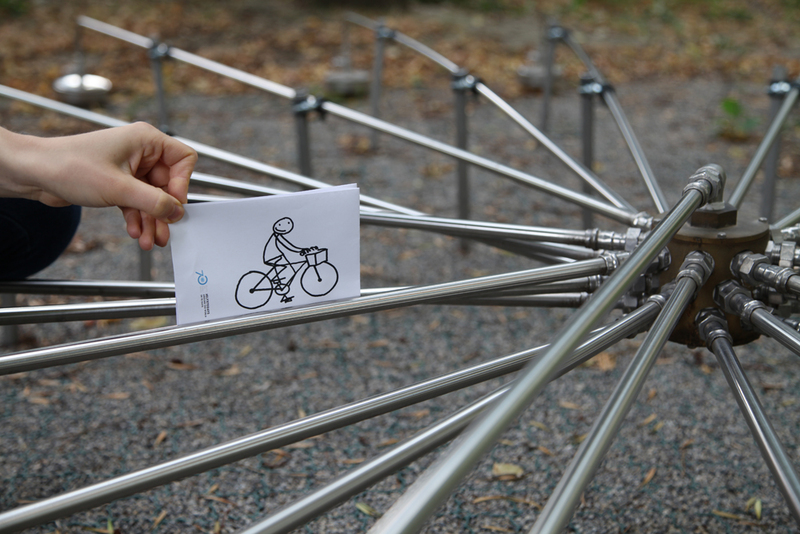 There are 40 interns from all-over working hard at the organization’s headquarters in Vienna. Today, more than 4,000 employees from over 110 countries work for the 16 Vienna-based organizations, including the United Nations Industrial Organization (UNIDO), the United Nations Office on Drugs and Crime (UNODC) and the United Nations Office for Outer Space Affairs (UNOOSA). 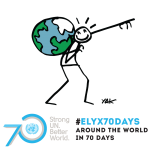 Elyx learns that UNODC assists countries worldwide in tackling illicit drugs, transnational organized crime and terrorism. As part of this, the Office works to counter human trafficking and help the millions of children, women and men who are trafficked each year for purposes of forced labour, sexual abuse and other forms of exploitation. Among others, this includes raising public awareness through the Blue Heart Campaign against Human Trafficking. The first UN organization operating from Vienna was the International Atomic Energy Agency (IAEA) in 1957. Elyx is glad to hear from the staff that the IAEA contributes to international peace and security by working for safe, secure and peaceful uses of nuclear science and technology. Next, the UN digital ambassador learns about the Preparatory Commission for the Comprehensive Nuclear-Test-Ban Treaty Organization (CTBTO PrepCom). The treaty bans all nuclear weapons test explosions; however, it has not yet entered into force. This explains the prefix “Preparatory Commission”. Elyx is very excited when he is invited to go on an excursion to visit the Nuclear Sciences and Applications Laboratories in Seibersdorf, south of Vienna. There Elyx learns about the development of new crop varieties adapted to meet global agricultural challenges. Elyx also observes scientists who work on fruit flies. Elyx is surprised to hear that fruit flies are among the most devastating pests of agricultural crops. Elyx is amazed by the variety of projects in which nuclear techniques play a role. After all the science, Elyx decides to return to Vienna to conclude the day with some sightseeing. He visits the Stephansdom and goes on the traces of worldwide known composers like Mozart or Beethoven. When Elyx discovers all the cakes and sweets Austria is famous for Elyx can’t resist. They simply look too delicious! 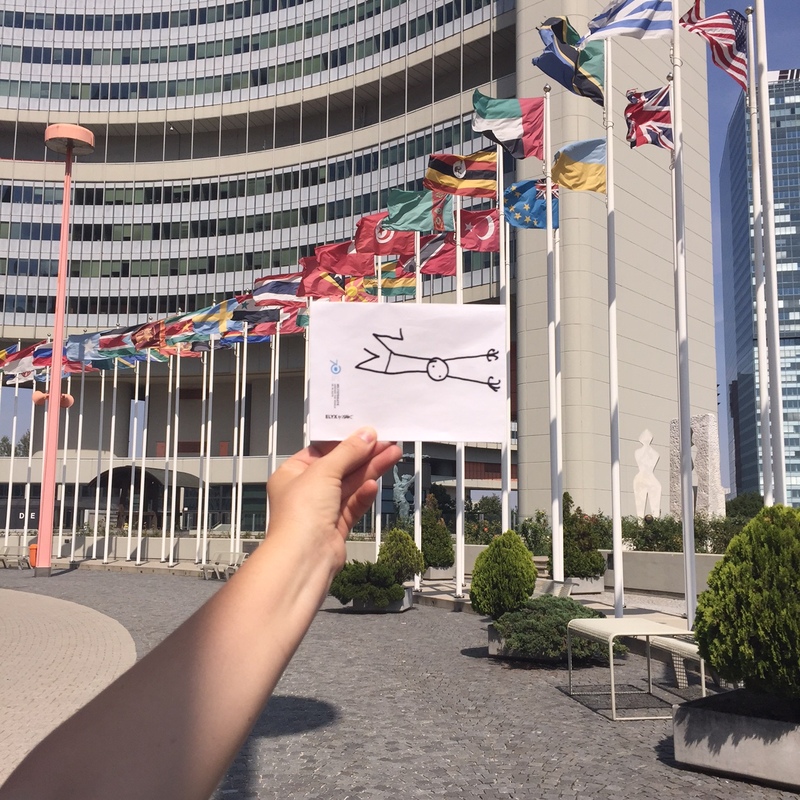 With a belly full of Mozart-Kugeln and Sachertorte, Elyx decides to rest a bit at the Vienna UN headquarters before continuing the trip that Elyx will finish at the main headquarters in New York in October.